George Enescu (Romanian pronunciation: [?d???e?ord?? ?e e?nesku]; known in France as Georges Enesco; August 19, 1881, Liveni ? May 4, 1955, Paris) was a Romanian composer, violinist, pianist, conductor and teacher. Young George Enescu was born in the village of Liveni, Romania (Dorohoi County at the time, today Boto?ani County), and showed musical talent from early in his childhood. A child prodigy, Enescu created his first musical composition at the age of five. Shortly thereafter, his father presented him to the professor and composer Eduard Caudella. Young George Enescu was born in the village of Liveni, Romania (Dorohoi County at the time, today Boto?ani County), and showed musical talent from early in his childhood. A child prodigy, Enescu created his first musical composition at the age of five. Shortly thereafter, his father presented him to the professor and composer Eduard Caudella. At the age of seven, he entered the Vienna Conservatory, where he studied with Joseph Hellmesberger, Jr., Robert Fuchs, and Sigismund Bachrich, and graduated before his 13th birthday, earning the silver medal. In his Viennese concerts young Enescu played works by Brahms, Sarasate and Mendelssohn. In 1895 he went to Paris to continue his studies. He studied violin with Martin Pierre Marsick, harmony with Andr? G?dalge, and composition with Jules Massenet and Gabriel Faur?. Many of Enescu's works were influenced by Romanian folk music, his most popular compositions being the two Romanian Rhapsodies (1901?2), the opera ?dipe (1936), and the suites for orchestra. He also wrote five symphonies (two of them unfinished), a symphonic poem Vox maris, and much chamber music (three sonatas for violin and piano, two for cello and piano, a piano trio, quartets with and without piano, a wind decet (French, "dixtuor"), an octet for strings, a piano quintet, a chamber symphony for twelve solo instruments). In 1923, he made his debut as a conductor in a concert given by the Philadelphia Orchestra in New York City. In 1935, he conducted the Orchestre Symphonique de Paris and Yehudi Menuhin in Mozart's Violin Concerto No. 3 in G major. He also conducted the New York Philharmonic between 1937 and 1938. In 1939 he married Maria Rosetti (known as the Princess Cantacuzino through her first husband Mihail Cantacuzino), a good friend of the future Queen Marie of Romania. While staying in Bucharest, Enescu lived in the Cantacuzino Palace on Calea Victoriei (now the Muzeu Na?ional George Enescu, dedicated to his work). He was also a noted violin teacher. Yehudi Menuhin, Christian Ferras, Ivry Gitlis, Arthur Grumiaux, and Ida Haendel were among his pupils. He promoted contemporary Romanian music, playing works of Constantin Silvestri, Mihail Jora, Ionel Perlea and Mar?ian Negrea. 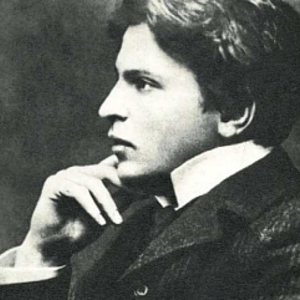 On his death in 1955, George Enescu was interred in the P?re Lachaise Cemetery in Paris. Today, Bucharest houses a museum in his memory; likewise, the Symphony Orchestra of Bucharest and the George Enescu Festival?founded by his friend, musical advocate, and sometime collaborator, the conductor George Georgescu?are named and held in his honor. Recently, Bacau International Airport was named George Enescu International Airport.